Don’t Watch that Movie, Kids! No doubt, we need to warn kids about unwholesome influences. But when you tell them to resist the bad stuff, do two other things at the same time. Next week I’m serving at a church camp for 10- to 12-year-old boys. We plan to teach about Internet usage, and my assignment is a talk about movies and videos. I plan to warn the boys about spending too much time watching videos, and especially about the danger of inappropriate videos and how they can rewire our thinking. Also, I do not want my talk to be a long list of dos and don’ts. I want to speak of the saving grace of Jesus and the Holy Spirit’s power to transform our lives. Can I ask your advice? What else should I say? What are the key things these boys need to think about? Of course, I was flattered a fellow teacher would consult me, and I soon replied with some thoughts. Then it occurred to me how common the larger issue is: there are so many worldly dangers (not just videos) we want to warn kids about, but faith in Jesus means much more than just avoiding bad influences. How do we address these dangers in a faith-centered way? 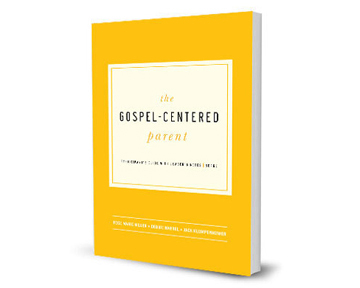 I’ve decided this is an excellent discussion topic for gospel teachers. As always, you’re invited to join in. Let me begin by sharing, roughly, what I replied to the fellow who asked about his teaching at that church camp. Hi, _____. Thanks for thinking of me and asking a good question. I’ve never given a talk specifically about videos, but your plan for your teaching sounds a lot like what I often said to my children when they were that age, and still say to them now that they’re teens. No doubt, it’s good to warn them about much of today’s entertainment. I figure you’ll be able to handle that without much trouble. I think the hard part (for me, anyway) is not the part where I warn kids about the dangers of the world. I find it easy to be a critic, but hard to show them a better alternative. The challenge is to show them how to practice faith in Jesus instead. Two ideas come to mind. First, you could plan to include much time praying with those boys. This is because prayer is the chief way we practice faith. You mentioned teaching about the grace of Jesus and the power of the Spirit. Well, prayer is a means of receiving that grace, which includes spiritual power in the battle against sin. Christians withstand bad influences not by willpower but by God’s power at work in them. When I speak to kids about holy living, I find they usually have a hard time understanding what it looks like to battle sin by practicing faith—that is, to fight alongside the Spirit and trust him for help. It isn’t enough for me to tell kids to practice faith; for them to understand I have to show them and do it with them. This means praying with them. So if you’re going to have a series of talks about resisting worldly temptations, I suggest you make sure you don’t neglect prayer time. Because if those kids listen to you at all and actually try to resist bad videos, they’ll probably end up doing it the wrong way—without praying at all—unless you make sure to pray with them. Prayer is easy for both students and teachers to forget. I overlook it way too often, especially at home with my own kids. But the famous “armor of God” passage, which tells how to resist sin, ends by instructing us to be “praying at all times in the Spirit, with all prayer and supplication” (Ephesians 6:18). Second, I think if I were doing that talk I would also want to somehow show the beauty of Jesus. Those kids don’t just need to see that many videos are bad; they need to see how Jesus is better. In fact, many of those boys may already sense that much of what they watch isn’t wholesome. They might not need you to press that point for long. But to actually turn away from those videos and live for Jesus instead, they’ll surely need to see and adore him. 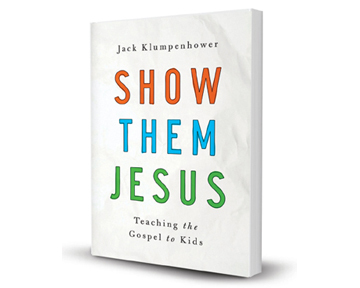 There are many ways to teach about Jesus and be compelling, but they all require us to be personally excited about him while we teach. Perhaps this should come easily, since it’s Jesus we’re talking about! But when I teach lesson after lesson, I find my own joy in Jesus quickly grows stale. So I have to determine, while I’m prepping each lesson, that my prep is never done until I’ve seen for myself something amazing about Jesus that I’m eager to share. That’s my second suggestion: keep working on your talk until you have at least one dazzling truth about Jesus that you’re dying to share with those boys. Those are my thoughts, for what they’re worth. I hope I haven’t rambled on too long. As you can tell, I think it’s a great topic to bring up. I imagine those boys will be blessed to have you teaching them. Do have a good time with them. That’s all I had at the moment. Now it’s your turn. 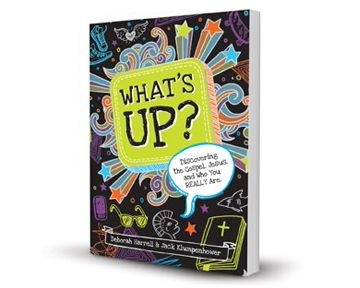 How do we train kids to resist bad influences in a way that emphasizes faith in Jesus? If this was helpful, please share. Thanks!